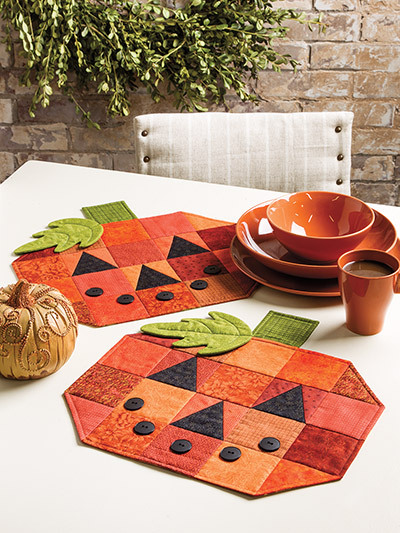 Easy place mats for fall! Set a not-so-spooky table everyone will love. Great for scraps. 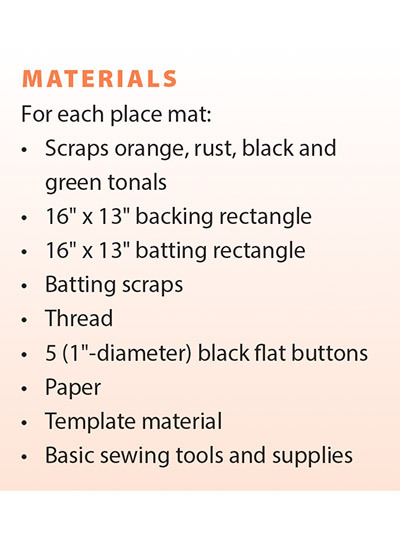 Place mats are 15" x 15" when finished. I loved the design of the pattern. I do agree with another reviewer that it would have been nice to have a little more than "scraps" as a measurement. Especially since I made 6. I was lucky I had lots of oranges and didn't have a problem. I thought the pattern was a little pricey for the simple instructions I received. The only thing I needed to buy were buttons. They are really cute! 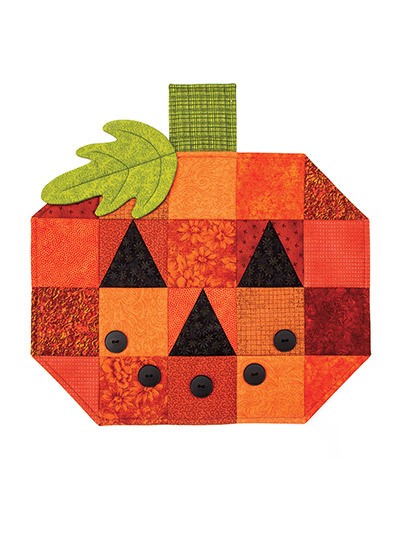 I love the pattern but it is listed as a "beginner" and instructions are not clear. I went to purchase fabric and there is no instruction for this. It simply says "scraps" yardage would be helpful. I spent a lot of time rereading instructions they are not easy to understand or follow. I have made 3 quilt tops so I have followed instructions with no problems. These instructions are not easy to follow for a novice.